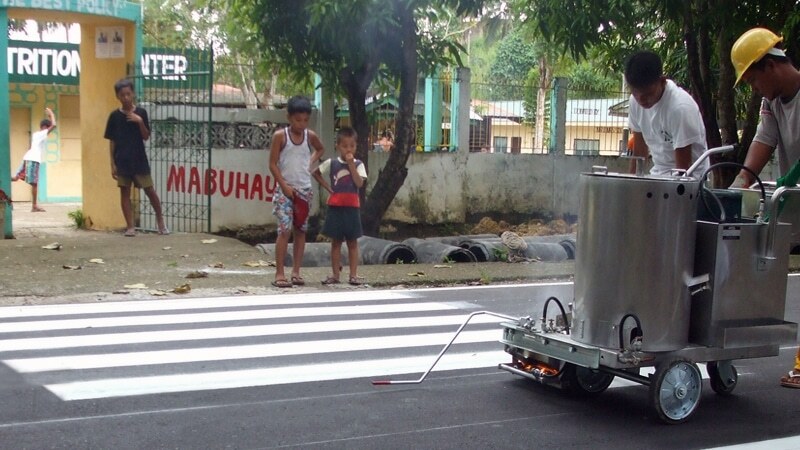 Thermoplastic Road Marking Machine is used to mark road traffic lines. 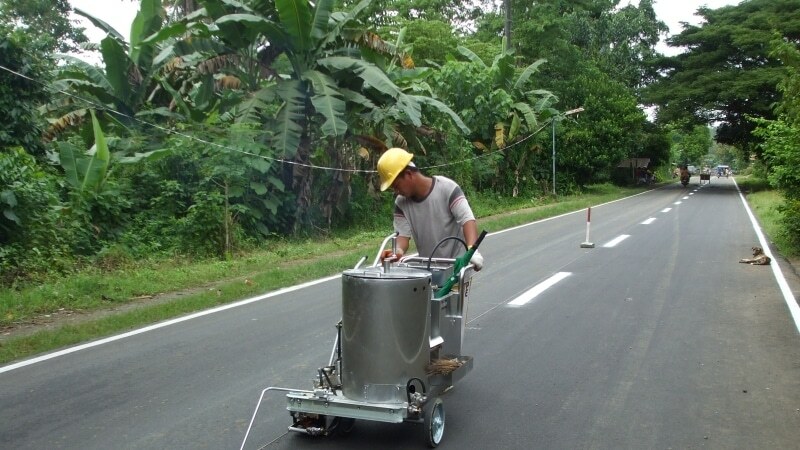 This type of road marking machine consist of an applicator, a glass bead dispenser, a stirrer and a preheater. 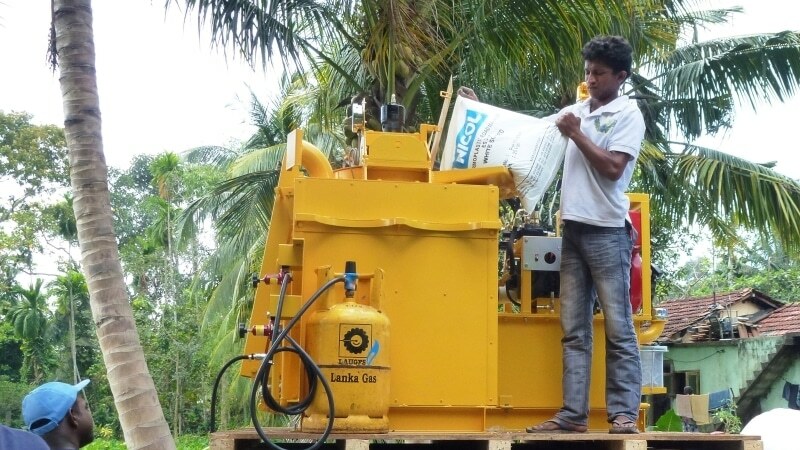 The applicator can be made up of stainless steel or mild steel. Two types of glass bead dispenser that can be used are the rotary type and the gravity type. It contains glass beads that increases the antiskid performance of the traffic line and reflects at night. 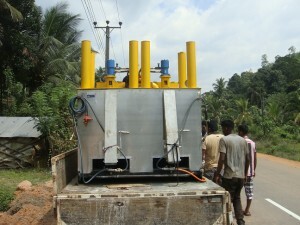 Thermoplastic preheater is used for preheating, melting and mixing thermoplastic paints. FW Nicol has two types of preheater, the single tank and double tank preheater. 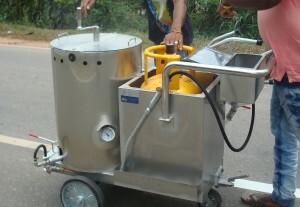 It has chimneys, two shoots where the drum and LPG or engine is placed. 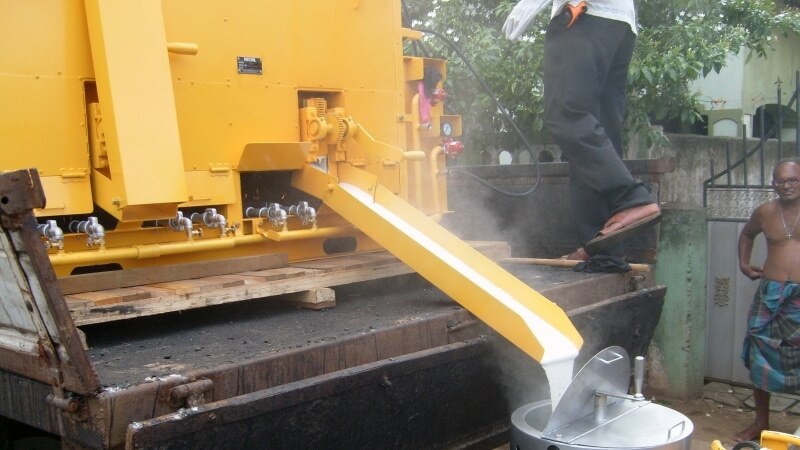 Stirrer is also included, which can be either a mechanical or a hydraulic stirrer. 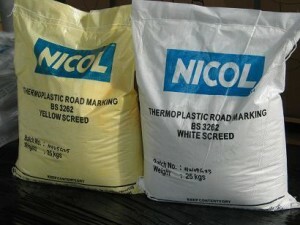 The Thermoplastic Road Marking Machine consists of an applicator that lays down the coating on the road surface. It can be either a hand push type or self-propelled. 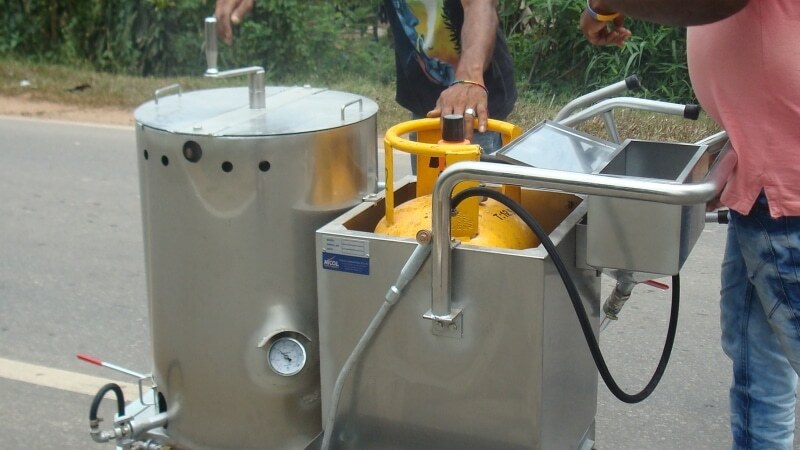 The applicator can be made up of stainless steel or mild steel. With it is the glass bead dispenser where glass beads are placed. Glass beads dispenser can be a rotary type where the flow of beads is based on the speed of the machine or it can be the gravity type where beads are poured when the slot is opened. Marking materials are in powder form and composed of binder, titanium dioxide pigment, and pre-mix glass beads. These are placed on bags or sacks. Bags are poured on the preheater for melting and mixing. It is embossed once applied and it is typical 1.5mm or 3.2mm thick. Additional glass beads can be used and are distributed throughout the coating which improves the appearance of traffic lines by increasing its visibility at night.